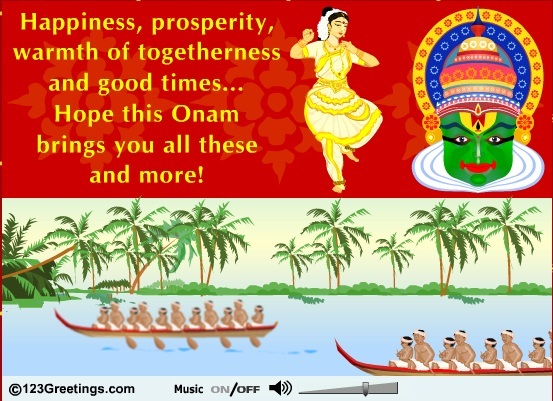 What is it about Onam festival that has everyone in Kerala as well as the rest of India so excited? 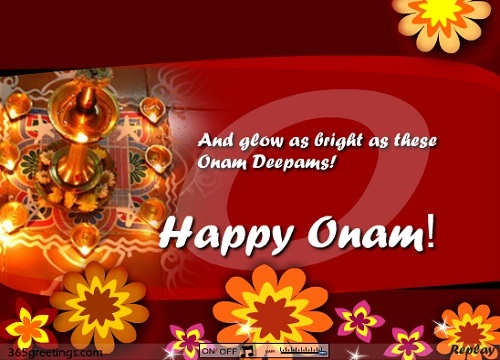 The Onam festival, to begin with, is unarguably the grandest and the most important festival in Kerala. It is a harvest festival that celebrates the homecoming of the wise and noble but self-conceited King Mahabali who, according to legend, was pushed to the nether world by Lord Vishnu because the gods felt threatened by the king’s popularity. However, Lord Vishnu did grant King Mahabali’s wish to visit Kerala and his people every year. Thus the Onam Festival began to welcome the King’s return. 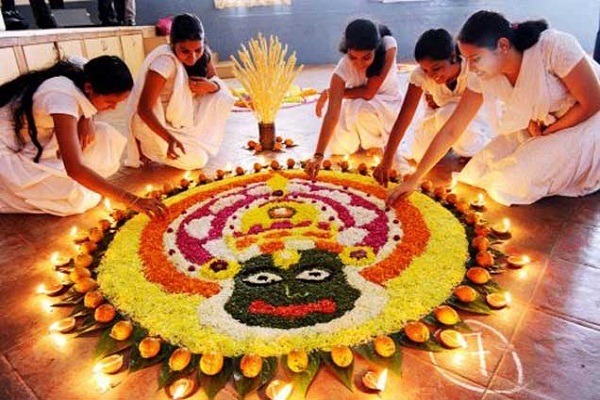 Onam is celebrated in August to September, which is the first month of the Malayalam Calendar (Kollavarsham). This month is known as Chingam. 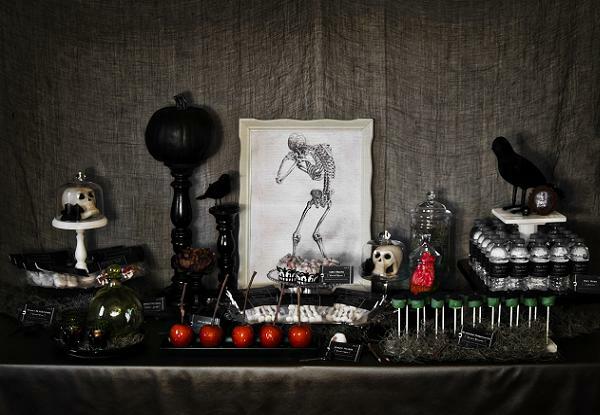 The celebration lasts for ten days, the first and last day being the most important days. With its lively games and vibrant dances and sumptuous feasts, the Onam festival is indeed a festival that will not only showcase Kerala’s great cultural heritage but also treat those who aren’t from Kerala to a colorful and astounding carnival of the senses. Onam is celebrated equally by everyone regardless of religion or caste. The celebration lasts for ten days starting with Atham day. Each day has its own significance in ceremonies and traditions, but the first day, Atham, and the last day, Thiruvonam, are the most important. Pookalams, intricate floral carpets, mark the days of Onam. On the first day, the pookalam is simple and small but more flowers are added in the following days. 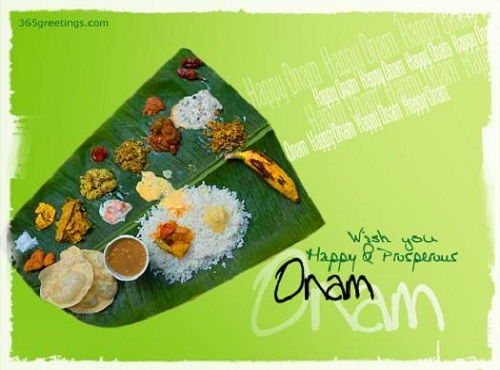 Atham – The first day of Onam. The pookalam is small (Athapoo) and only yellow flowers are used. A grand procession (Athachamayam) is held and brilliant folk art presentations, music, and dancing are performed. This is one of the biggest attractions of Onam. Chithira – The second day. In preparation of Thiruvonam, people begin to clean their houses. A second layer is added to the pookalam, this time two different colored flowers are used. Chodi – The third day. People start buying new garments, jewelries, accessories, and decorations. The markets are packed with people on this day. The pookalam is added with at least four to five different flowers. Vishakam – The fourth day. Same as the third day, the markets are busy. Onam competitions begin. Anizham – The fifth day. 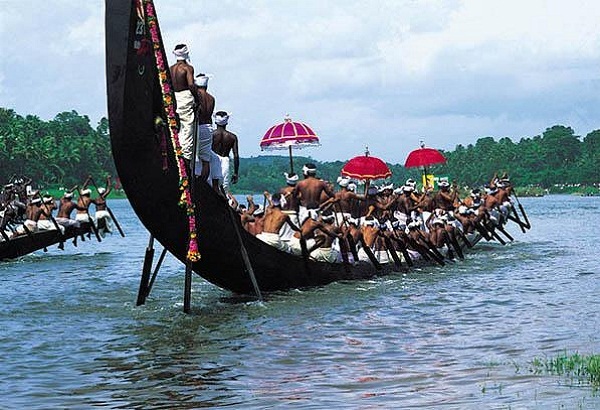 One of the major highlights of the Onam festival is held on this day, the boat race, Vallam Kali (snake boat). Thriketa – The sixth day. People visit their native homes to celebrate Onam with their family. The pookalam is large by this time. Moolam – The seventh day. Excitement is in the air as the the nation gets more and more passionate about Onam. Traditional dances are performed and there’s usually a fireworks display. Pooradam – The eighth day. Idols of deities are washed, cleaned, and prepared. The pookalam is much more complex and will continue to grow until the tenth day. Uthradom – The ninth day. An important day in Onam for this day is considered to be the first day King Mahabali returns to Kerala. Special arrangements are made to welcome the beloved king. Thiruvonam – The tenth and final day. The most flamboyant and extravagant day of Onam. 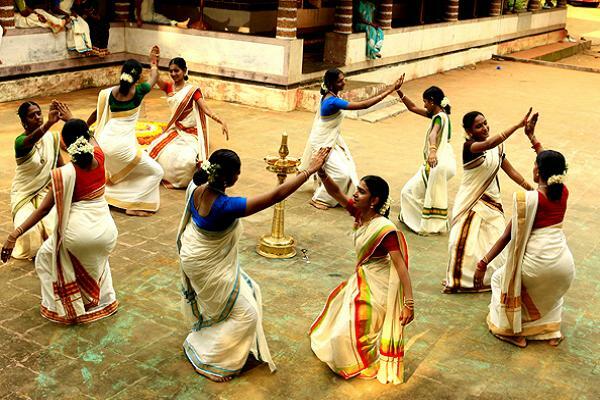 Kerala is bustling with life and the festivities are celebrated by all. There’s music and dancing and feasts. The nation bursts in an explosion of color and merriment. Onam is a harvest festival originating from Kerala so it’s no surprise that, during the festival, the state of Kerala showcases its best at everything. However, Onam isn’t just about celebrating a bountiful harvest and welcoming the King Mahabali, it’s also a festival that shows the faith of the people of Kerala. 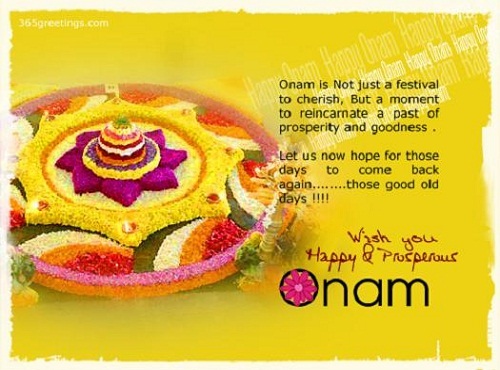 And because Onam is for everyone, it is also a time for unity. 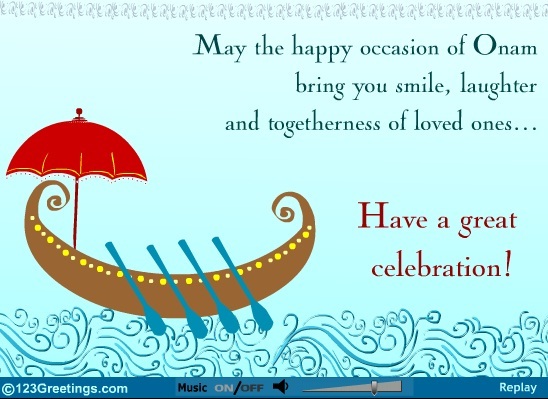 People from different religion, nationality, and caste celebrate Onam in equal enthusiasm. Onam is associated with gifts so this festival is also anticipated – especially by children – for the opportunity to get new clothes and things. 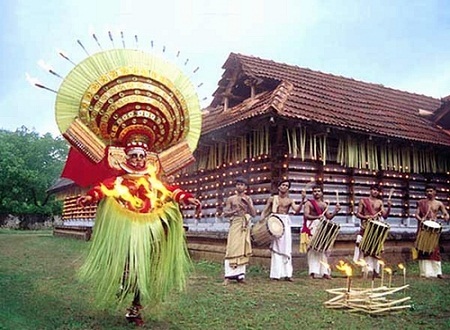 The rich and colorful culture of Kerala is also displayed with great pride during the festival. Onam is widely known for its grandiosity and cultural extravaganza. There are various festivities during the ten-day celebration. The state of Kerala is colorful and lively as everyone prepares for the homecoming of Mahabali. 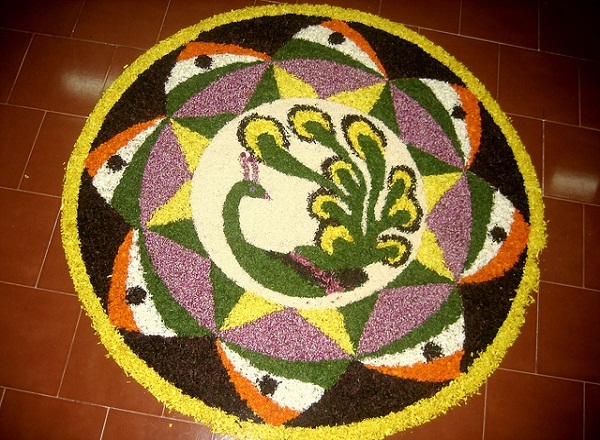 Designing pookalams is an important tradition in Onam. Pookalams are considered as an art form and there are even competitions on decorating the best-looking pookalam. Banquets are held and there are numerous performances. Games are also played during Onam in the spirit of teamwork and fun. Now, if you’re wondering about the Onam dates in the next 5 years, I’m here to give you the advance schedule of the Onam festival. During the last day of Onam, the Thiruvonam, a grand and elaborate feast is held, the Thiruona Sadhya or Onam Sadya. The sadya is a strictly vegetarian banquet served on a banana leaf. The sumptuous spread is a feast for the taste buds. All sorts of flavors are involved – sweet, spicy, salty, sour, you name it! The feast has nine courses, rice being the main ingredient, and is consumed in one sitting. Meals are eaten by hand – no utensils are used – and guests sit on a mat cross-legged. The meal ends with desert known as payasam – a sweet delicacy. Pookalam is a traditional elaborate floral carpet that marks the days of the Onam celebration. It is one of the most notable rituals during Onam. Pookalams are laid out in the front yard as a sign of welcome to King Mahabali. On the first day, the pookalam is simple and doesn’t have that much color. But as the days pass, the pookalam gets added more layers of flowers and the arrangements of these flowers become more complex. 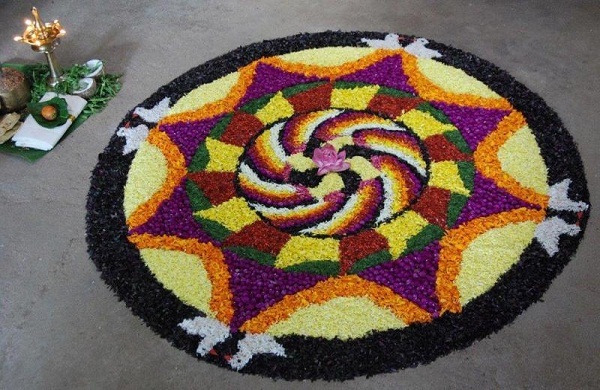 By the tenth day of Onam, the pookalam is huge, very complex, and eye-catching. Arranging a pookalam is a team effort. 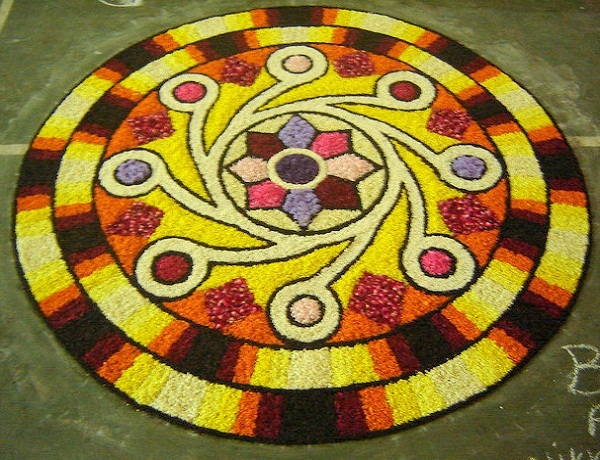 The making of a pookalam itself is a prominent event in Onam. The girls prepare the pookalam while the boys gather the flowers needed. This event enhances camaraderie among the people. There are all sorts of games during Onam. The games demonstrate the enthusiasm and spirit of the people of Kerala. It’s also an opportunity for individuals to test their abilities and to prove themselves. Ambeyyal – Archery. A game played by men that tests their skill and accuracy. Kayyankali – An extremely dangerous game that tests a man’s strength. This is a one-on-one combat game where use of any type of weapon is prohibited. Attakalam – Another combat game but, unlike Kayyankali, is less dangerous and is played by batches. Kutukutu – A much simpler game that involves two teams of players. This is a game of not only speed and strength, but also lung power. The players have to repeatedly say “Kutu Kutu” clearly in one breath while trying to defeat the opposing team. Onakalikal – An umbrella term used for different games played after the Onam Sadhya. Combat games, archery contests, and ball games are played. Talappanthukali – A very popular outdoor ball game. Onam isn’t complete without flowers. Lots and lots of it! 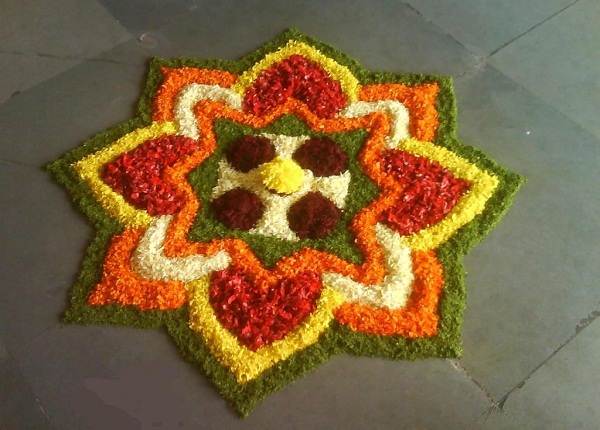 One of the major attractions in Onam is the colorful pookalam which requires kilos of flowers. The flowers are intricately arranged and designed to form a pookalam worthy of the King Mahabali. The most commonly used flowers are Kakka Poovu, Mukkutti, Aripoo, Thumba, Hanuman Kireedom, Thechipoovu, and Chethi. Pulikali – “Play of the tigers”. A colorful dance meant to amuse people. 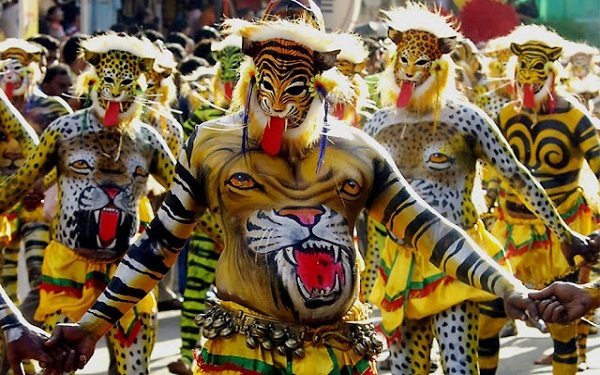 The performers portray themselves as tigers with bright yellow paint and tiger masks and enact hunting scenes, by doing a teasing dance in front of an hunter, who is dancing pointing his gun to them. Thumbi Thullal – Performed by women only. It is a singing and dancing event that is stunning to behold. Kummatti Kali – A stringed instrument known as onavillu provides the rhythm for this dance. The dancers themselves are colorfully and distinctively clad. They wear wooden masks depicting deities or hunters and plaited grass skirts. The performers move from house to house, spreading joy and laughter and collecting small tokens. Kathakali – A dance as well as a drama but the performers don’t use verbal dialogue to communicate. Graceful movements and gestures are used by the performers to narrate the story.